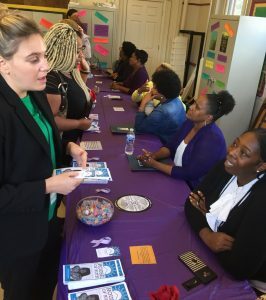 Last month, as part of Domestic Violence Awareness Month (DVAM), House of Ruth’s Madison Program held an open house fair to share information about the housing programs and services we offer. 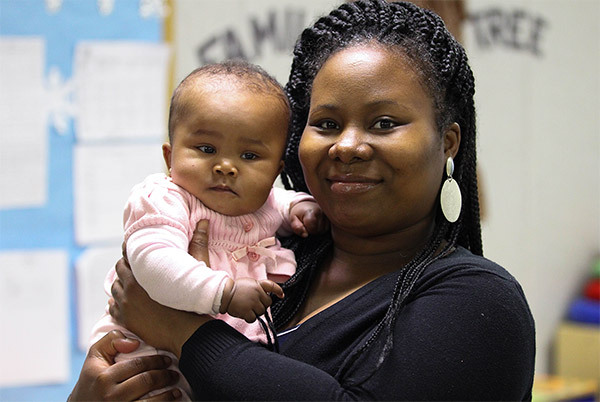 Madison staff gave a presentation on the admission process to the family and single housing programs at House of Ruth, and provided a brief overview of the Domestic Violence Support Center as well as Kidspace, our therapeutic childcare center. Afterwards, the staff answered specific program questions by the attendees of the resource fair. It was a full house, and the event was a great success! 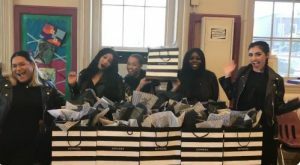 A few weeks after the open house fair, Madison partnered with the Mayor’s Office on Women’s Policy and Initiatives and Sephora to help clients get interview-ready in honor of DVAM and teach them about self-care. Their partnership and generosity created a wonderful experience for our clients!